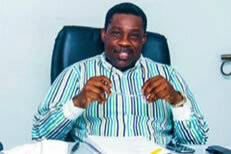 Holds a Masters degree in Business Administration (M.B.A) from the Lagos Business School (Pan African University). He also has a Bachelor of Science (BSc) degree from the University of Lagos and is an Associate member of the Chartered Institute London (A.C.I.I) He has also attended several Management and technical courses in England, South Africa, China, Singapore and Nigeria to mention a few. He has also attended Leadership and Ethics courses at IESE Business School in Barcelona, Spain. Having commenced his career at Leadway Assurance Company Limited and Cornerstone Insurance Plc. he ventured into the terrain of business and has had tremendous success and experience in managing various businesses, having been an entrepreneur for the past twenty six years.